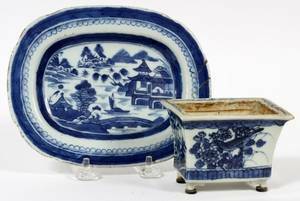 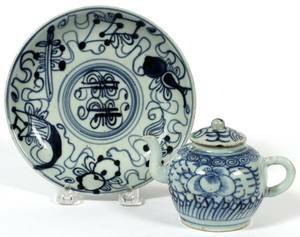 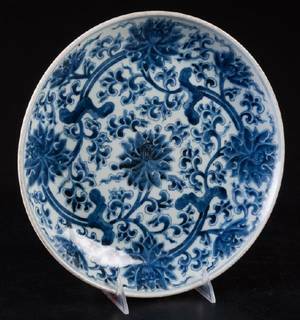 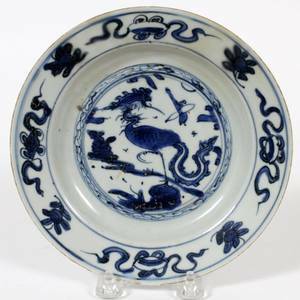 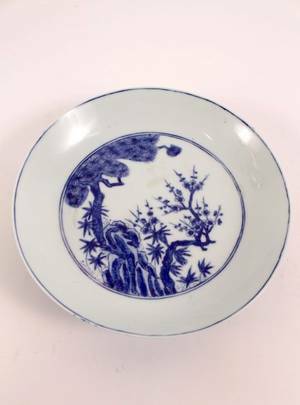 Chinese blue and white porcelain decorated plate with perched birds on branches above blossoming flowers. 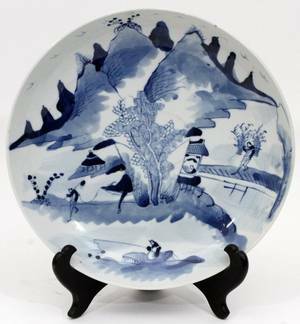 Characters in blue to side of tree branch on left. 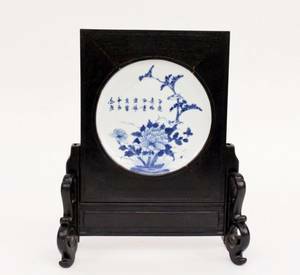 Circular plate or dish contained within ebonized wood stand with removable rectangular top that slides into scrolled wood base. 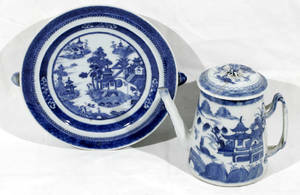 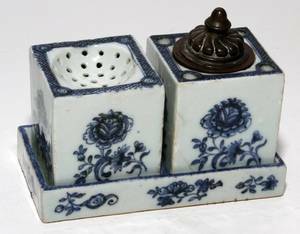 Overall height 13", width 10".